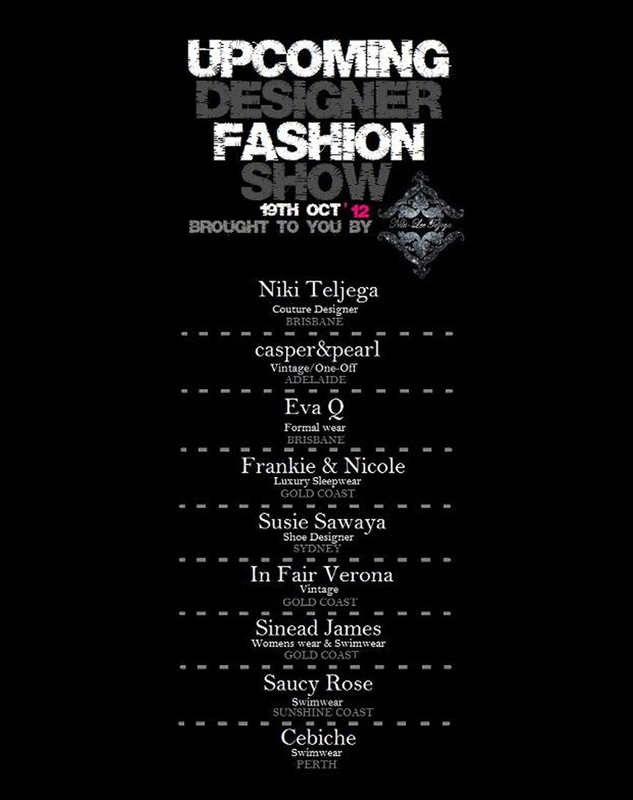 We're getting so excited for the Upcoming Designers Showcase in Brisbane this coming October! Tickets are nearly sold out, have you purchased yours yet? A night of amazing emerging Australian labels, delicious drinks on arrival, goodie bags, live music and entertainment, not to mention that you'll be the first to see our A/W 2013 collection. Just email Niki at niki_teljega@hotmail.com to purchase your tickets, $20 for second row, $15 for standard tickets! We'll see you on the 19th of October! We're so exited too..Hope to see those photos! wooo congrats wish i could be there to support adelaide fashion!